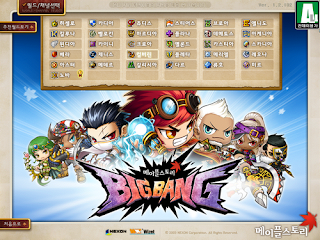 Recently in KMS (Korean Maple Story), the new Big Bang Patch was launched. This this patch introduced many new features and changes. Victoria Island had a complete alteration, meaning the maps have all been changed. The levels of every single monster has also been changed. The exp to level up has been greatly reduced. There is also a new game resolution. Along with the Big Bang Patch, KMS has announced the release day for the new Jobs 'Resistance.' Resistance will be released on July 22nd. While GMS is releasing Dual Blade, KMS will be patching Resistance. On August 12th, KMS will be releasing a Mechanic Job. There isn't very much information on this yet, so I can't really say much about it. But it has something to do with Resistance as well. I did a quick tour for every map in Victoria Island and parts of Ossyria and Ludibrium. You'll notice that lot has changed after this patch. I made a new character in KMS to see how much the Big Bang patch has changed it. I started a cleric and surprisingly it only took around 2 Hrs to reach Lvl 30 without 2x EXP. Also, the skills have changed. Magic Claw can now hit 2 monsters and a much farther range. I recorded a preview about when I was Lvl 28. You will see that I can hit golems on top platforms from a far range. 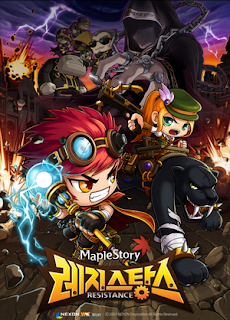 we sell the best game-bot for maple story & others. will be updated for Big Bang in a week. also sell the best automouse & fps mouse. this is not a spam.